10+ Keyword Types To Increase Sales Conversions from Google Search Engine - What kind of keyword to increase the sales conversion from Google Search Engine? In the world of SEO (there are several types of keywords that can increase sales conversions, implementing keywords like this will provide benefits for the online business. Keywords that many searches on Google is not necessarily directly proportional to sales conversions. For online business people should not only focus on the keywords that many searches on Google, but focus on keywords that conversing good. Usually, high converting keywords are keyword specific and generally long (long tail keywords). While long keywords are not much of a search, they are typically used by potential buyers. Branded keywords are keywords in which there are certain brands. Users search the internet using a brand name in a keyword. The word "Sony" is a well-known brand inserted in keywords. This type of keyword conversion is very high because usually typed by the fans of a particular brand who want to shop. Product keywords are keywords that mention the product name. Usually, the use of keywords like this is accompanied by a particular brand name. The word "guitar" in the keyword above mentions the product you want to search. In general, keywords like this are used by internet users who intend to buy products but want to make comparisons first. Competitor keywords is a keyword that aims to compare one brand with another brand. Keywords like this are usually used to see the difference and make the difference between one brand with another brand. 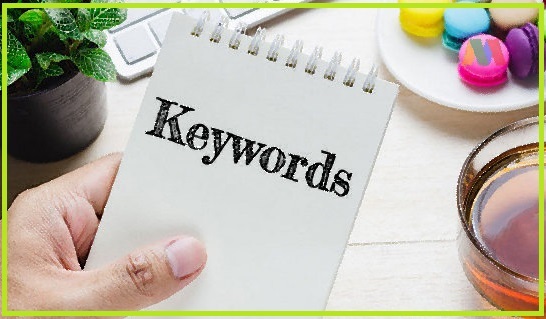 Generally, keywords like this are used internet users who want to buy certain products but want to compare the advantages and disadvantages of these products with other brands. This is a keyword that is often used to search for other product information in lieu of. The use of keywords like this is to look for alternatives to other products whose quality is not much different. Suppose you sell "hair grower products", there is no harm in also optimizing the keywords associated with "hair strengthening products". These are the keywords that mention the product but are not directly related to the product you are selling. Suppose you sell furniture products, one of which is a computer desk. When someone searches for information about computer equipment, then chances are your computer table sales conversions are pretty good. This type of keyword category includes lots of terms that people may search on the internet. That is why this type of keyword is quite difficult and it takes more effort to benefit from keywords like this. This can be anticipated by developing many keywords that match the product you sell. That way visitors from this type of category keywords can be converted into buyers. These are the keywords that contain questions when searching for solutions to their problems on Google. The average website that is on the main page for this type of keyword is a website that contains tutorial or information articles. Can this result in conversions? Of course. Visitors of these types of keywords can be converted into buyers when they are helped with the content they are reading. This is a seasonal keyword that is only sought after when there are certain events only. For example when approaching Idul Fitri, Christmas, New Year, and others. This type of keyword is rarely typed in Google. However, when entering in the season then this type of keyword will be very massive to use. Surely you do not want to miss taking advantage of momentum in certain seasons. These are keywords that contain symptoms or anxiety and are typically typed in Google by those who want to get an immediate answer to the problem. For example, someone whose smartphone died suddenly because of exposure to water. So he will look for information on Google by using the keyword "How to solve a smartphone suddenly because of submerged water". And most likely the search results on Google will feature a variety of content on how to overcome the smartphone that died of water. This is a specific type of keyword used to search for information on Google. For example using a code, models, or keywords that lead to specific things. Usually, the use of these specific keywords is very small. However, such keyword competition is so low that it is very easy to optimize. Keywords of this type appear because of the latest updates in the mass media. These types of keywords are usually seasonal and depend on how long an update becomes a trend. For example, there is news about the latest Chinese smartphone product release. Then internet users will do browsing on Google to find information related to the news. Above were some kind of keywords to increase the sales conversion from Google Search Engine. Applying everything may be hard, but trying 1 to 6 points will have a huge impact on your online business.